Have you ever noticed that adults often have higher expectations for students than for themselves? 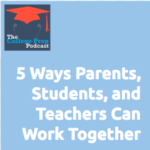 Gretchen shares her latest thinking about the ways in which both teachers and parents have made the teens in their lives the “identified patient”, and how this can negatively effect students. 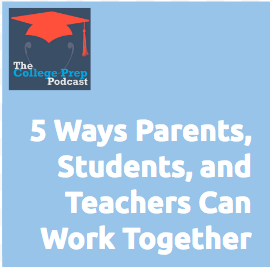 5 ways that students, parents and teachers can work together to help each other learn: Get humble, get honest, get curious, get empathetic, and get collaborative. Tune in for a slightly controversial take on how to level the playing field between adults and kids. « 238: Colleges Love Good Grammar!